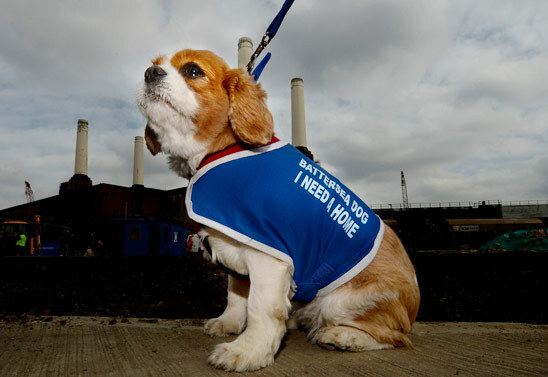 Battersea Q&A: My rescue dog won't eat! (Q) Our rescue Cavalier King Charles Spaniel, Mo, joined the family two weeks ago, and still won't eat from her bowl. She loves her food, and doesn't seem at all fazed by our three other dogs. (A) Battersea canine welfare trainer Nathalie Ingham says: The first thing that you need to do is ensure that there is no medical reason why Mo won't readily eat from her bowl, so get her checked out by your vet to ensure that everything is in good order. There can be a number of different reasons why dogs won't eat, and it may be advisable to seek the help of a behaviourist to determine exactly what the motivation behind this is. Refusal to eat can be an indicator of anxiety and may be linked to other things going on at home - getting used to a new environment and routine, or feeling her way into her new family, for instance. However, there are some very simple reasons which you may want to rule out. Some dogs dislike the clanging sound of their ID tag against the bowl. Simply taking their collar off while they eat is a way around this, although they may still need some coaxing until they realise the clanging no longer happens. Some dogs have simply never learned to eat from a bowl. It's worth splitting up Mo's food into portions and putting them on or in different containers such as plates, metal, and plastic bowls, and a placemat on the floor (the type that you can wipe down after). Hopefully this will help you to identify what Mo has been eating from previously and give you a way to move forward. Mo's weight permitting and with the OK from your vet, try putting the food down and if she does refuse to eat within 20 minutes, pick it up and offer it again later in the day. Don't give in and produce all sorts of extra bits and pieces - teach Mo that she can either eat what's in front of her or she misses out. As Mo is living in a multi-dog household ensure you feed separately to avoid any possession issues. If she's particularly sensitive she might not want to eat while you're cooking nearby or attempting to open cupboard doors next to the food bowl.